The QOOL Box receives recognition for its outstanding performance and quality as the ISPO Award Gold Winner in the category outdoor. The QOOL Box sets unseen precedent on how goods, such as food and drinks, are kept cold or warm. The thermal insulation box convinces with excellent design and outstanding functionality. It is based on aero-space technology and is built with vacuum insulation panels. This technology is known as the world’s most superior thermal insulation material due to its high performance, space saving abilities and long service life. 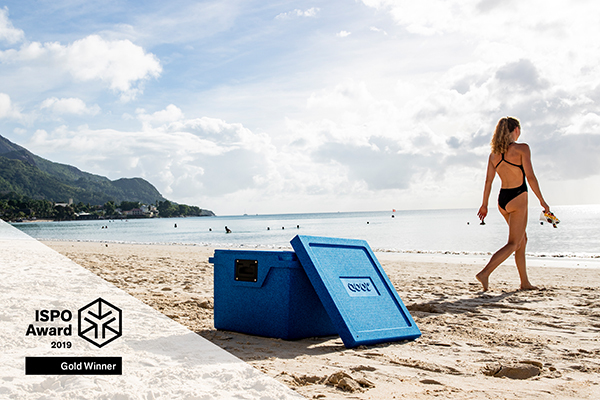 The QOOL Box gives the end consumer access to a cooler that can keep the desired temperature for several days – in all climates and independent of any power supply. The QOOL Box is available in two sizes: 27 liter optimized for up to sixteen 0,5L bottles and 43 liter which can store up to twenty-four 0,5L bottles. The inside temperature is maintained with especially designed temperature elements which are available in five different ranges from -25°C up to +25°C. ISPO is the world’s largest multi-segment trade fair for sporting goods and sportswear. The ISPO award is acknowledged as a prestigious award that identifies the industry’s most innovative new products. The award jury consist of 43 independent sport business professionals from 12 countries who evaluate the contestants based on pre-defined criteria such as the eco aspect, innovation, design, and functionality. The QOOL Box is selected as one of only five gold winners in the category outdoor equipment. This year’s ISPO takes place from the 3rd to 6th of February and QOOL is participating for the first time. Meet us in Munich in hall A4 booth 215!